26 September / On 1 October 2018, a free express bus will begin operating between Tartu Airport and the City of Tartu. The electric bus will transport travellers to their early morning flight and bring arriving passengers to the city. The start and end point of the line is by the Annelinna Keskus (Kalda tee 43). According to Deputy Mayor Raimond Tamm, the City of Tartu already began looking into the possibility of restoring bus service between the airport and the city in the spring. ‘After the private company ended their door-to-door bus service for air travellers, we began considering various possibilities on how to resolve the situation. In the coming months we would like to test how travellers begin using the express bus connecting the city and the airport. Since we have recently, within the framework of an external project, brought an electric bus to Tartu, which travels between the railway station and the bus station, then we have an excellent opportunity to provide service to air travellers with the same bus. We will be making a decision regarding the continued operation of the line in December of this year, depending on the interest of travellers and the average occupancy rate of the bus,’ added Tamm. Returning from the airport, the bus travels along the itinerary Lennujaam (at 01.15) – Karete (at 01.25) – Kaare (at 01.33) – Kesklinn (at 01.37) – Eeden (at 01.44) – Annelinna Keskus (at 01.46). Please note! The departure time of the bus from the airport in the direction of Tartu may differ slightly, since the bus departs the airport once all passengers have exited the airport. The Airport Express will be operated by AS Sebe, with whom a contract for services was concluded as of September of this year for the electric bus line that began operating between the Tartu Bus Station and the Tartu Railway Station. 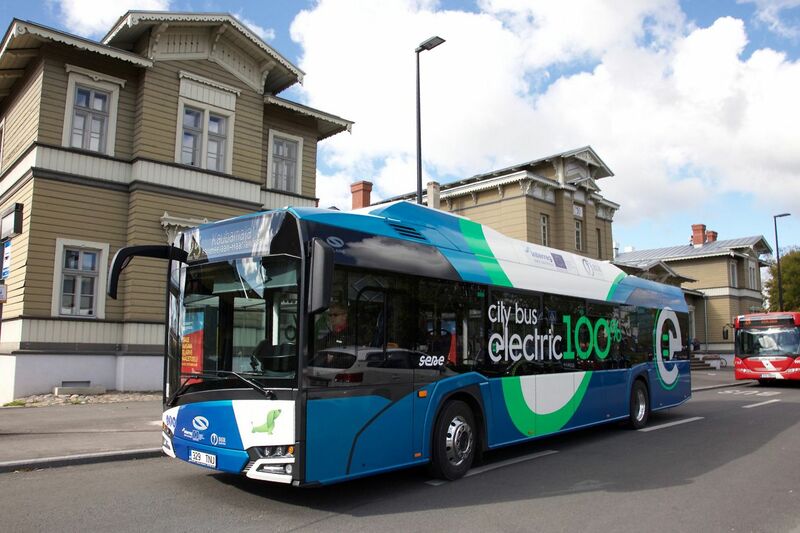 The electric bus pilot project is being implemented within the framework of the Baltic Sea Region programme BSR electric, and regular services are being financed in part from the European Regional Development Fund.